Former Mbizo legislator, Settlement Chikwinya, who is reportedly at the centre of a serious legitimacy crisis over his bid to represent the constituency on an MDC Alliance ticket, has reiterated the coalition's main aim to remove Zanu PF from power was greater than his candidature. The MDC Alliance is a grouping of seven political formations agitating for the removal of the Zanu PF government led by Emmerson Mnangagwa following last November's soft coup that relegated former president Robert Mugabe to a private citizen. The coalition partners have entered into a 'gentlemen's agreement' to reserve seats for each stakeholder across the country, without subjecting candidates to divisive primary elections. MDC-T party youths in Kwekwe threatened to confront the party leader Nelson Chamisa for attempting to impose Chikwinya as the coalition's candidate for Mbizo. Chikwinya, now People's Democratic Party (PDP) secretary-general, forfeited the seat, which he won for two successive terms on an MDC-T ticket, after defecting to PDP led by Tendai Biti following another split in the MDC-T in 2015. Chikwinya intends to run for the same seat under the MDC Alliance, but is facing resistance from MDC-T youths who are accusing him of "selling-out." 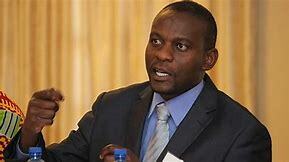 Chikwinya told NewsAnchor, "Naturally, there are interested individuals from the Alliance partners, especially MDC-T. These are the ones who are pockets of resistance. However, the bigger point is the best candidate from the political party allocated that seat within the Alliance agreement will represent the Alliance. "The Alliance is focused not on seats representation but on removing the Zanu PF regime and all its toxins. The Alliance is the only option." MDC-T president Chamisa recently dispatched national deputy organising secretary, Amos Chibaya to pacify and negotiate the coalition's position in Mbizo which supports Chikwinya, but was met with stiff resistance from the youths, leading to the meeting being aborted prematurely as tensions heightened. "He is a sell-out, we don't want him to represent us anymore, we voted him into power in 2013 under the MDC-T ticket only for him to dump the party," the State media quoted anonymous disgruntled MDC-T youths.-LOCAL NEWS. Thanks for taking the time to discuss that, I really feel strongly about it and love learning more on that topic. I always find http://nexter.org here for daily hot news ! !